Robyn Giffen. (2013). 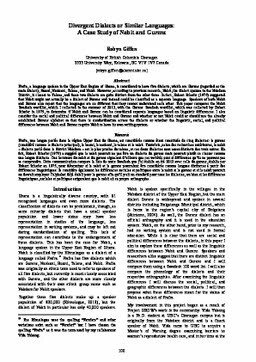 Divergent Dialects or Similar Languages: A Case Study of Nabit and Gurenɛ. In Proceedings of the 17th Foundation for Endangered Languages Conference (pp. 100–107). Foundation for Endangered Languages.